Armenia – a country located in the southern part of the Caucasus. Capital – Yerevan. The country’s population – 3,017,400 people. The area of ​​29,743 sq.km. It shares borders with Georgia, Azerbaijan, Iran and Turkey. Armenia is one of the most ancient states. The first reference is found in ancient sources deemed to be 520 BCE In 1915 began the Armenian genocide, which lasted several years. more than a million Armenians were killed, many deported or fled the country. March 12, 1922 became part of the USSR. September 23, 1991 the Supreme Council of Armenia declared its independence. Currency Armenian dram. 1 AMD is 100 lumam. Now lum is not used. Official language – Armenian. Religion – Christianity. Major cities Yerevan, Gyumri, Vanadzor, Ararat. The main rivers Hrazdan and Araks. 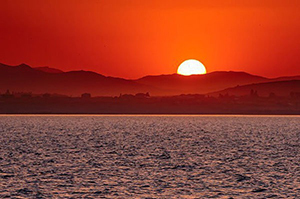 The most prominent and well-known lake of Armenia – Lake Sevan. 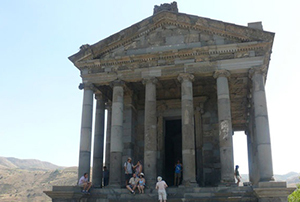 Temple of Garni – the only surviving monument in Armenia Roman era; a pagan temple dedicated to the god Mihr sun. It is sometimes called the Armenian pagan Parthenon, thanks to the architectural style. Not far from the Garni is the monastery complex of Geghard. 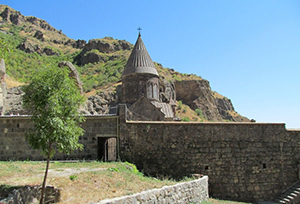 These two ancient Armenian attractions are very popular among tourists. If you go from Yerevan, the road there takes a little less than an hour. It is thought that Garni built Armenian king Trdat in the I century BC, as evidenced by the inscription on the ruins of the temple. 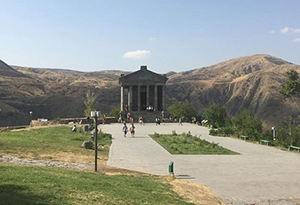 Armenian kings liked to visit in Garni Valley, not only because of the fortress, but also due to the excellent climate. For them it was a summer residence. Perhaps there was once a palace complex, but only preserved the pagan temple. The temple is built of smooth basalt by all the canons of Hellenistic architecture. 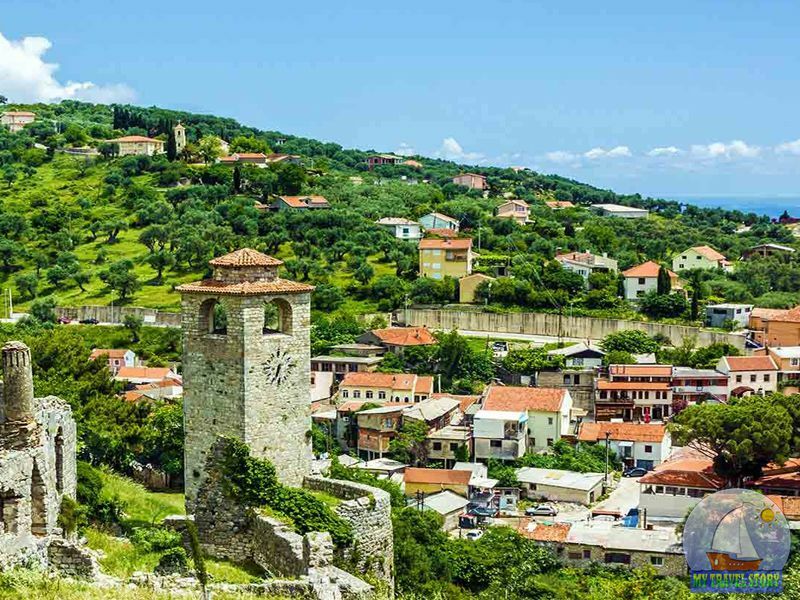 With amazing views of the valley with steep cliffs and ancient, now inaccessible caves. In the second half of the XVII century, the building was partially destroyed because of a strong earthquake, but over time it was restored. To get to the best attractions by car. On the way to Yerevan, Avan-Jrvezh-Voghjaberd-Garni. The distance from the capital to Garni about 30 km. The path lies through Geghama mountains. Since 1949, here are systematically carried out archaeological excavations. Mount Ararat – the highest mountain in Armenia, consisting of two peaks; It is of volcanic origin. Armenians call their sacred mountain Massis. Great Ararat rises 5165 meters above sea level, and Small – 3925 meters. World famous Ararat was a symbol of Armenia, but to climb on it or visit the foot, being in Armenia is impossible, because today this mountain is located on the territory of Turkey. It is located near the Armenian and Persian borders to the flow of the river Araks. Despite this, the snowy peak of Mount Ararat is decorated with the coat of arms of Armenia, moneys, Armenian brandy, etc. Today and the Greater and Lesser Ararat volcanoes are extinct. It is believed that the last activity of the volcano showed in the third millennium BC. During archaeological research, human remains and artifacts of the Early Bronze Age were found. Earlier on Ararat were permanent settlements, but after a strong earthquake in 1840, which occurred due to the eruption of the mountain, they are gone. Its name, the mountain was, thanks to the European geographers. 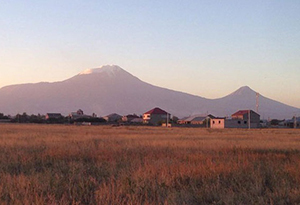 On the one hand, Ararat – the biblical mountain, to which approached Noah’s ark. On the other hand, Armenia has a historical province Ayrarat, and once the territory of the Armenian plateau there was an ancient state of Urartu. The first conquerors of Ararat tops were also Europeans. 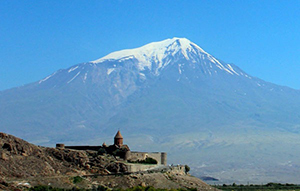 In clear weather Ararat can be seen from all parts of Armenia, but also the most beautiful views of the mountain opens from the monastery of Khor Virap is located just a few meters from the border with Turkey. To climb the mountain must obtain a special permit in the Turkish province of Igdir and Agri. Sevan – a highland, freshwater lake in Armenia in the Caucasus. The lake on the Armenian Plateau, at an altitude of 1900 meters above sea level. The area of ? ?1360 km2., Maximum depth of 83 meters. Two headlands Artanish and Noratusskim lake is divided into Large and Small Sevan. The lake flows into many small rivers. From Lake Sevan follows the river Hrazdan. On the shore of the lake are the towns of: Sevan, Drakhtik, Jill, Vardenik, Yeranos, Noratus. Lake Sevan with fish:Trout, barbel, perch, whitefish, etc. On the lake there are fish farms, nature reserves. 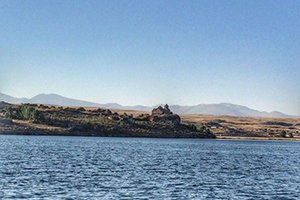 Lake Sevan – a beautiful place to relax. On the coast of the lake there are hotels, motels and hostels. Gegard Monastery – an ancient monastery complex 40 km from the city of Yerevan, Armenia. Translated from the Armenian “Geghard” means “spear”, although the full name of the complex Gegardavank, which means “Monastery spears.” This monastery is like a carved into the rock, and why is unique. Many tourists visiting Gegard, want to see the monks’ cells, tombs, cave temple complex, and, of course, crosses, khachkars. Downstream the river Azat is another complex – Garni. Usually, excursions to these places include visits to both sights. At the site of the monastery of Gegard was a holy spring. In the IV century on the site of a holy spring built a monastery. It is believed that the founder of the complex itself was Gregory the Illuminator. However, in the IX century, the first building was destroyed because of the raids of the Arabs. New temples were built in the XI-XII centuries, later brought here the legendary Spear of Longinus, due to which there was such a name. According to legend, it was a spear pierced the body of Christ. In addition to the monastery complex were building a library, a chapel, residential and farm buildings. In the XIII century, the princes Proshian, built here a number of cave structures, including the ancestral shrine, the second temple. Since then, the monastery courtyard is constantly updated. Matenadaran Museum – is both a museum and a research institute in Armenia where ancient manuscripts are kept, including ancient Armenian. This museum has more than 17 thousand manuscripts and translations from the field of art, literature and science. Many admirers of the Armenian, Persian, Greek, Syrian and Arabic cultures want to visit Matenadaran. Geographically, the museum is located in the central part of Yerevan, on top of a hill Mashtots Avenue. It is open every day except Sunday, from 10 am. The institution itself was formed in 1959 as a center for the storage of manuscripts. 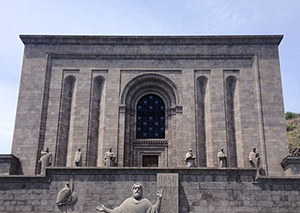 The word “Matenadaran” is translated as “library of manuscripts”. 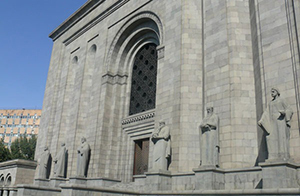 The museum is named after Mesrop Mashtots – the creator of the Armenian alphabet. 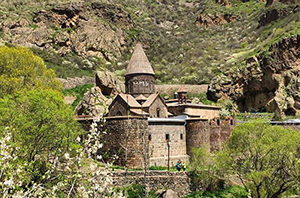 The building is constructed of basalt in the native Armenian style. In the foreground you can see the building of a large statue of Mesrop Mashtots, and is located just above the other great sculptures of Armenian thinkers. Today the fund of the museum contains thousands of ancient manuscripts and documents in various languages, including Latin. The Matenadaran is a unique collection of old Armenian books, works of the great philosophers, geographers and historians. The collection continues to grow with the efforts of the Armenian diaspora from other countries. In addition to scientific publications, in this museum you can see a collection of portrait painting.